As I write, I am watching a documentary (Wretches & Jabberers) with my love about a couple of autistic gentleman who go around the world advocating, teaching others about autism. They talk about the rough time they had growing up and they continue having in their life - having a difficulty communicating with others. Despite their difficulty, they are rising above it and making a difference in the world. They are out there teaching and shedding awareness to others - breaking misconceptions the public might have an autism. I believe that knowledge is one of the most powerful things in this world. I am thankful for individuals like them who are overcoming obstacles in their lives to go out there and make a difference in the world. If that is you - rising high above obstacles in life, going out there to educate and make a difference - thank you! Love this! My sweet daughter has overcome so much in her young life-- I am in awe of her and so blessed to be her Mama! She teaches me something every day. Yes!!!! I'm with you on this Cami.....so many people reaching for their best in spite of tons of odds against them. Wishing you a great thursday out there. You shine. that sounds like a great documentary... will have to check it out! also... just read your post below this one... love your wedding colors!!! it's all coming together!! I will have to check out that documentary. It sounds like a wonderful documentary! Steve and I love watching shows like that...so inspirational...people who strive to live their life no matter what!! Thanks for sharing! 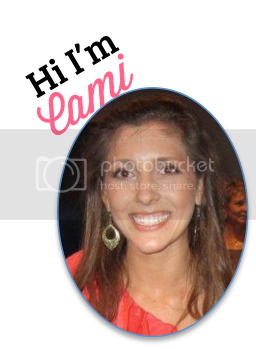 I hope you're having a sweet day, Cami! Thank YOU for always being kind and genuine! Sending love and wishing you a relaxing night!